We have been repairing GHD hair straighteners since 2010 and repair between 170 & 200 GHD’s every month. When you book your GHD straightener repair you can be sure they will be in good hands. The booking process is simple and secure. We use PayPal to securely process your payment which can be made by Debit/ Credit Card or PayPal account. Place your order safely and securely here on our website. We will then process your order and send you confirmation of the booking. 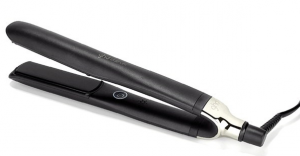 We CAN repair ALL Faults on GHD Model numbers Ghd3 Ghd3.1 Ghd4.0 Ghd4.1 Ghd4.2 Ghd5 including all limited edition models, Wide Plate models and Narrow Plate models.